To claim this profile, please confirm you are Kenzie Moreo. To follow this profile, please let us know your relationship to Kenzie Moreo. RESULTLoss Girls varsity basketball @ Knight. The Covina varsity basketball team lost Saturday's away playoff game against Knight (Palmdale, CA) by a score of 37-33. This game is part of the "2019 CIF Southern Section Ford Girls Basketball Playoffs - Division 3AA" tournament. RESULTWin Girls varsity basketball vs. Viewpoint. The Covina varsity basketball team won Thursday's neutral playoff game against Viewpoint (Calabasas, CA) by a score of 53-43. RESULTWin Girls varsity basketball @ Wilson. The Covina varsity basketball team won Thursday's away conference game against Wilson (Hacienda Heights, CA) by a score of 47-33. Kenzie's basketball stats have been updated for the win vs. Baldwin Park. RESULTWin Girls varsity basketball vs. Baldwin Park. The Covina varsity basketball team won Tuesday's home conference game against Baldwin Park (CA) by a score of 59-31. The Covina varsity basketball team lost Friday's away conference game against rival school Northview (Covina, CA) by a score of 41-32. RESULTWin Girls varsity basketball vs. San Dimas. The Covina varsity basketball team won Wednesday's home conference game against San Dimas (CA) by a score of 45-29. RESULTLoss Girls varsity basketball @ Rowland. The Covina varsity basketball team lost Friday's away conference game against Rowland (Rowland Heights, CA) by a score of 38-28. RESULTWin Girls varsity basketball vs. Wilson. The Covina varsity basketball team won Wednesday's home conference game against Wilson (Hacienda Heights, CA) by a score of 47-27. Kenzie's basketball stats have been updated for the win @ Baldwin Park. RESULTWin Girls varsity basketball @ Baldwin Park. The Covina varsity basketball team won Monday's away conference game against Baldwin Park (CA) by a score of 41-12. The Covina varsity basketball team won Friday's home conference game against rival school Northview (Covina, CA) in overtime by a score of 36-32. 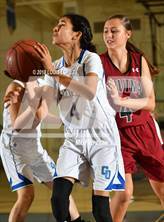 RESULTWin Girls varsity basketball @ San Dimas. The Covina varsity basketball team won Wednesday's away conference game against San Dimas (CA) by a score of 49-47. RESULTWin Girls varsity basketball vs. Rowland. The Covina varsity basketball team won Monday's home conference game against Rowland (Rowland Heights, CA) in overtime by a score of 45-43. RESULTWin Girls varsity basketball vs. West Covina. The Covina varsity basketball team won Saturday's neutral tournament game against West Covina (CA) by a score of 59-48. RESULTLoss Girls varsity basketball vs. Bishop Amat. The Covina varsity basketball team lost Friday's neutral tournament game against Bishop Amat (La Puente, CA) by a score of 61-37. RESULTLoss Girls varsity basketball vs. Upland. The Covina varsity basketball team lost Thursday's home tournament game against Upland (CA) by a score of 34-33. The Covina varsity basketball team lost Wednesday's neutral tournament game against Roosevelt (Eastvale, CA) by a score of 47-33. 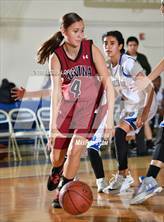 Kenzie had 2 photos tagged from the game against Charter Oak.